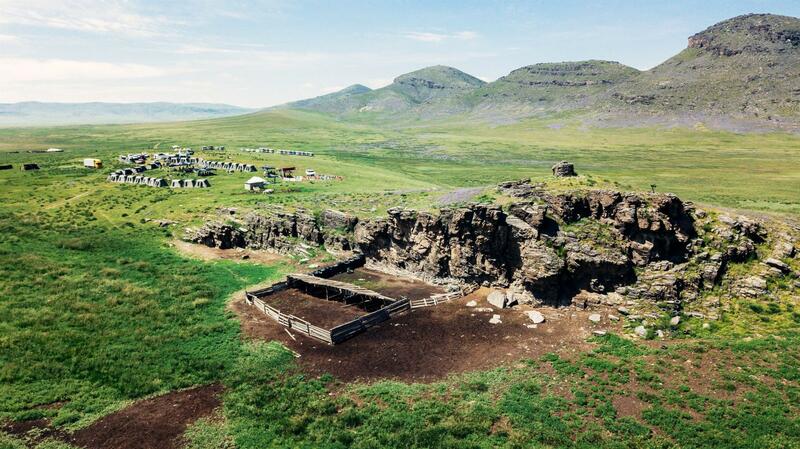 About the 4 Deserts, he says: "WOW, It has really changed my perspective on everything. I live my life with less prejudices." He also says that he has made many new friends. Upon his finish at The Last Desert (Antarctica) 2016, Franco joined both the 4 Deserts and 4 Deserts Grand Slam Clubs. A contender for the 4 Deserts Grand Slam Plus - all 4 Deserts plus the Roving Race in one calendar year - Frank Rocktaeschel is not one to back down from a challenge. 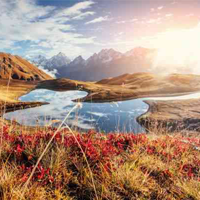 A toolmaker for RS Montage AG in Switzerland, the German competitor has already completed RacingThePlanet: Sri Lanka, the Sahara Race (Namibia), the Gobi March (China), the Atacama Crossing (Chile) and The Last Desert (Antarctica) this year. An accomplished runner, Frank has likely drawn upon his past racing and lessons learned while running in the 4 Deserts Race Series. His previous race finishes include the Morenic Trail, Zugspitz Ultratrail, Marathon des Sables, Swiss Alpine Marathon and Zermatt Ultramarathon, amongst others. He has finished his 2016 races with solid times and rankings, including 16th overall at the Gobi March. Jax Mariash is a professional ultra-runner and skimo racer who is the first female to complete the 4 Deserts Grand Slam Plus - all 4 Deserts PLUS the Roving Race in one calendar year – which she did in 2016. Jax, not only completed 1,250km of racing in 4 Deserts Race in 2016, she achieved a podium place at all five races. 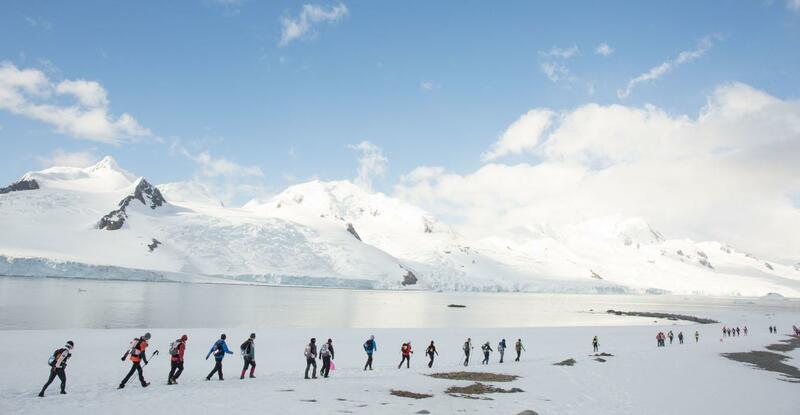 She finished second overall female at her first race of the year at RacingThePlanet: Sri Lanka 2016 and was then the first female at the Sahara Race (Namibia) 2016, Gobi March (China) 2016, the Atacama Crossing (Chile) 2016 and The Last Desert (Antarctica)!! An American citizen, Jax ran all of her races in 2016 in honor of the LymeLight Foundation to help provide medical grants to children and young adults suffering from Lyme Disease. She set herself a goal to raise at least enough money to give away one grant of $10,000, but exceeded that goal by more than 50%! “When I am out there racing in the desert, there is a lot of synergy between what I am doing and the patients fighting treatment." Jax is sponsored by DripDrop, CEP Compression, Stoked Roasters, Zeal Optics and VOKE tab. If you ever feel like giving up during a race, take Jax's advice: "Just know it can't hurt forever, stick it out and keep putting one foot in front of the other. In these races it is imperative to have a positive mindset and attitude to keep going. Positive thinking is the only way to get through." Grand Slam Plus contender Cynthia Fish from Canada, aims to complete "5 for 55" - that is five races at the age of 55. The five races she chose were all 4 Deserts, plus the Roving Race in 2016.Cynthia started her ultra-running "career" in 2013 and then set her sights on the Grand Slam PLUS. When asked why, she said: "I met fellow Canadians Stan Lee and Paul Borlinha at my first 4 Deserts race, and neither of them suggested that completing the Grand Slam Plus was beyond my abilities. Both were extremely generous with their stories and encouragement. The moment I finished RacingThePlanet: Madagascar 2014, I signed up for the Gobi March (China) 2015, and the moment I finished that, I decided to do the Grand Slam Plus." 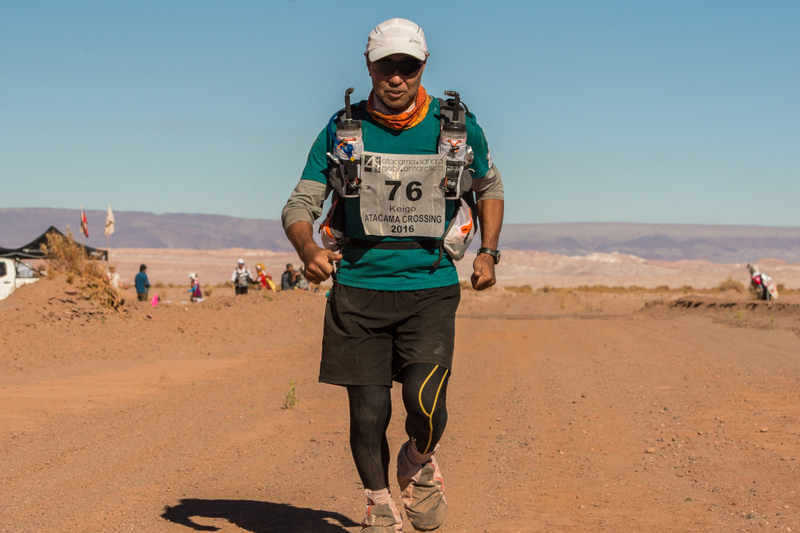 Cynthia has completed RacingThePlanet: Sri Lanka 2016, the Sahara Race (Namibia) 2016, the Gobi March (China) 2016, (where not only did she win her age category 50-59 years, she also won the Spirit Award) and the Atacama Crossing (Chile) 2016 - culminating with The Last Desert (Antarctica) 2016. 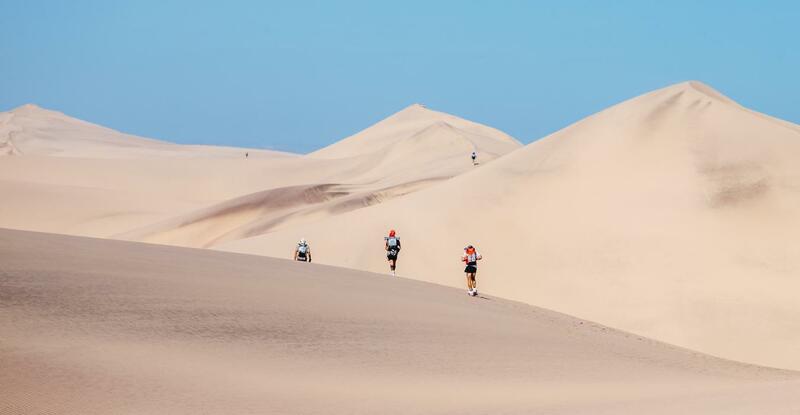 Of the races, she says: "My best race so far has been the Sahara Race (Namibia). I was fast, I loved the sand, and the blind team "Sound of Small Bell" is always an inspiration. But my favorite race is the Gobi March - I have done it twice now, both times ending in sandstorms. Both times the Long March has been my very best. I aced those puppies! I managed my electrolytes, my food, and my water." All those kilometers have allowed Cynthia to clean up the skeletons in her closet. "I am also fitter than I have ever been. I have never really felt like quitting, “it is all about having fun." 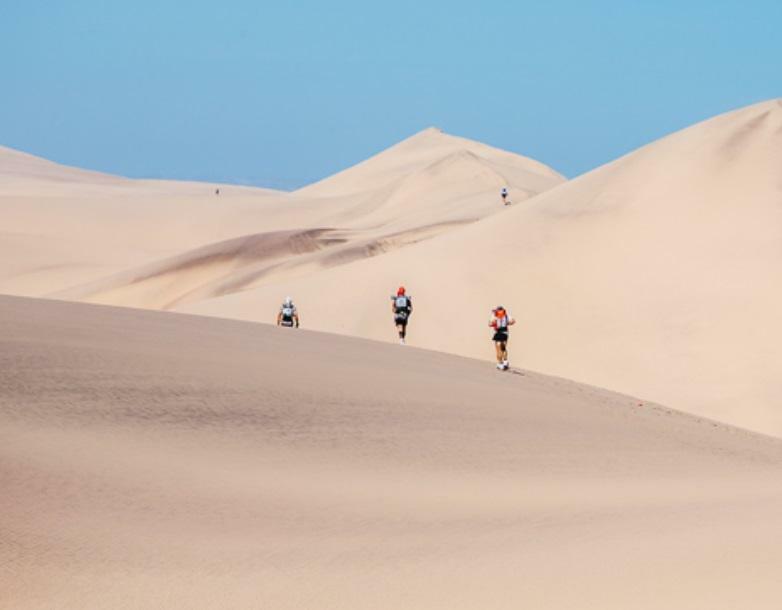 While Cynthia trains hard and meticulously tests all her gear before the races, it is really all about the experiences for her: "In Namibia, the ocean and the seals. Gobi the dog. The chameleons in Madagascar. Sleeping outside the tents around the fire in Namibia." 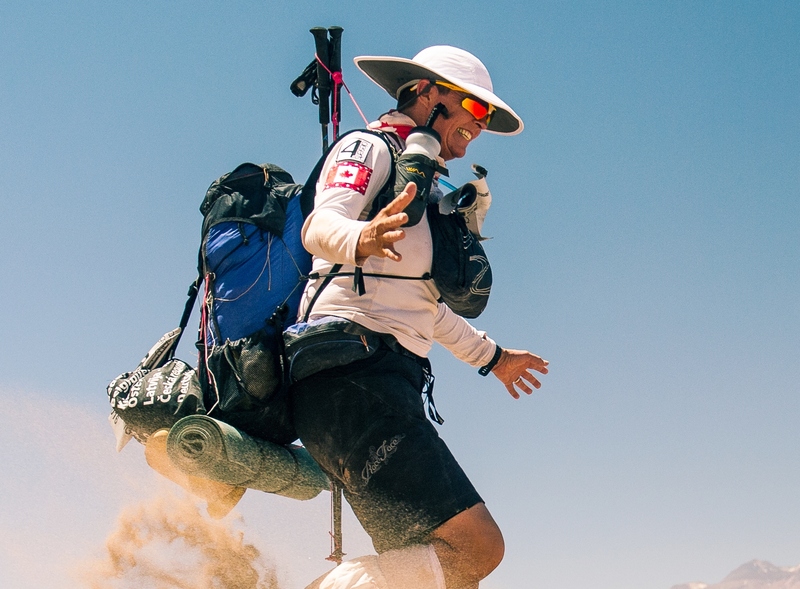 Canadian Paul Borlinha is the third person in 4 Deserts history to complete the 4 Deserts Grand Slam plus the Roving Race in one calendar year. Paul is the president of Sage Medica Inc in Toronto. James Gaston planned from the outset to achieve the Grand Slam, despite being a full time student who had never run an ultramarathon. He then won a bet with friends which led to him adding the Roving Race to his 2012 goal. 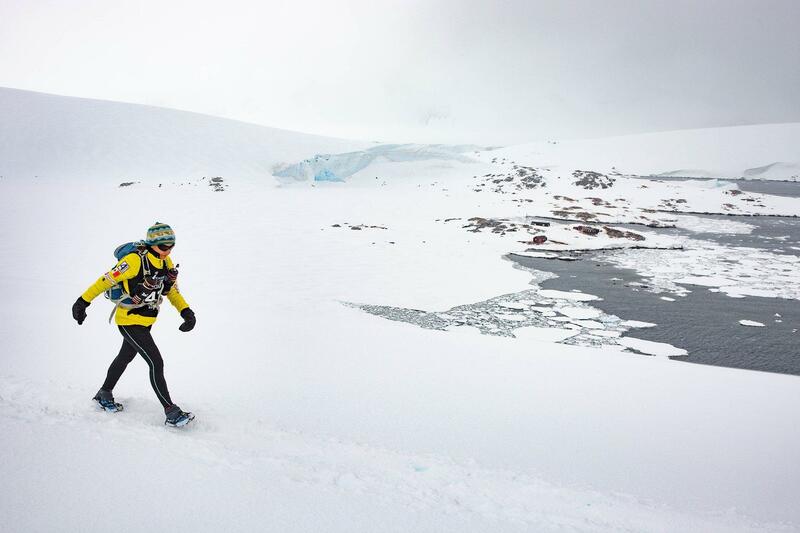 He was the only person completed all five RacingThePlanet events in 2012 and the only third in the world to achieve it. Completing the Atacama Crossing (Chile), RacingThePlanet: Jordan 2012, the Gobi March (China), the Sahara Race (Egypt) and The Last Desert (Antarctica) in 2012 has made for a wild ride and one which the young American says he could not have achieved without the financial support of his family, as well as the moral support of his sister, Tara, a fellow Grand Slam competitor. 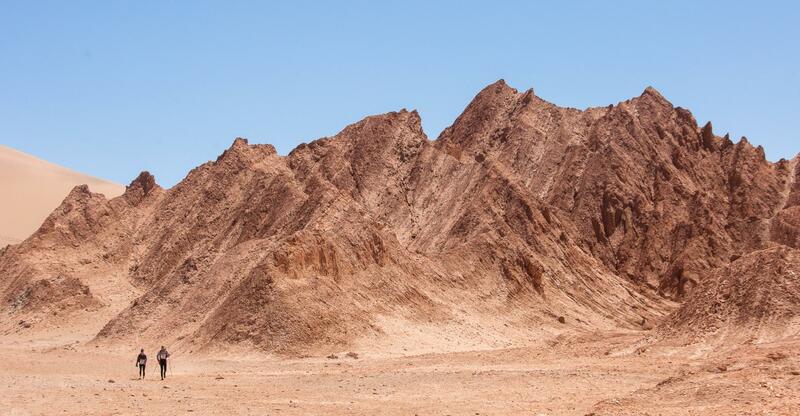 His toughest race was his first at the Atacama Crossing as he didn’t know what to expect, but it was also his most memorable. “Up until finishing the long stage I still had doubts as to whether I would be able to complete the race… So when I came into camp that night and crossed the finish line I knew at that moment I had done it.” But for James there are so many memorable moments in each race, “it’s difficult to pick just one,” he says. His eating utensil is his favorite piece of gear, which he came to appreciate through its loss in Jordan. “It flew away during a sandstorm and I spent the remainder of the race eating from a cut out spoon made from a water bottle.” Motivating James on his journey is raising funds for Muscular Dystrophy, specifically for Myotonic Muscular Dystrophy (MMD), which affects more than 30,000 Americans and a million people worldwide, as well as his close friend. 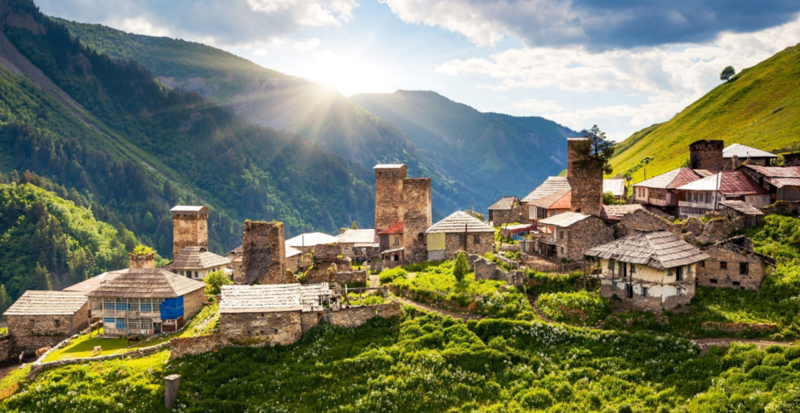 But above all, he is most excited simply for the opportunity to travel to a place he has never been to before. You might have thought that Canadian Stan Lee would have taken a break after finishing five 250-kilometer RacingThePlanet / 4 Deserts events in 2010. 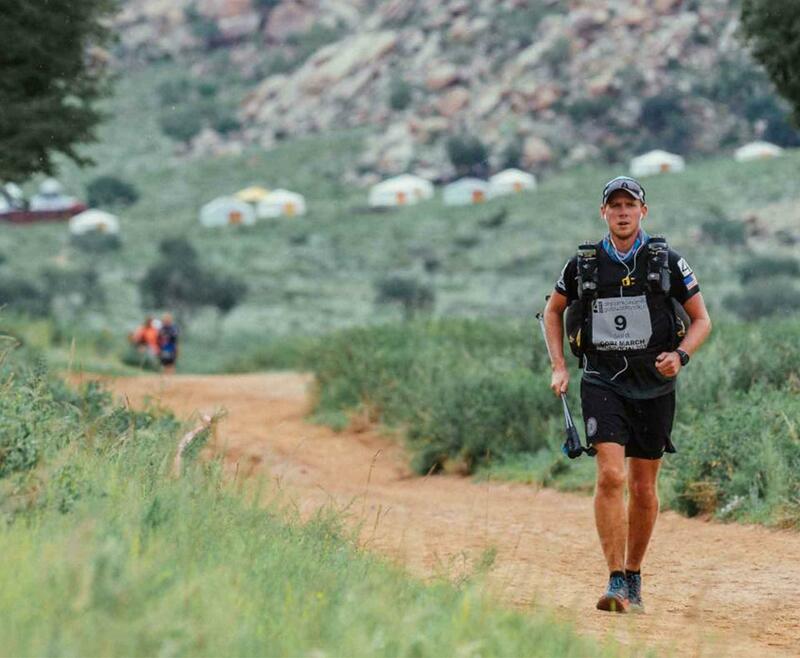 A prolific runner, Stan also completed the Fat Dog 100K and Ayer Challenge 70K, successfully reaching his goal of completing an ultramarathon on each of the 7 continents in one calendar year. 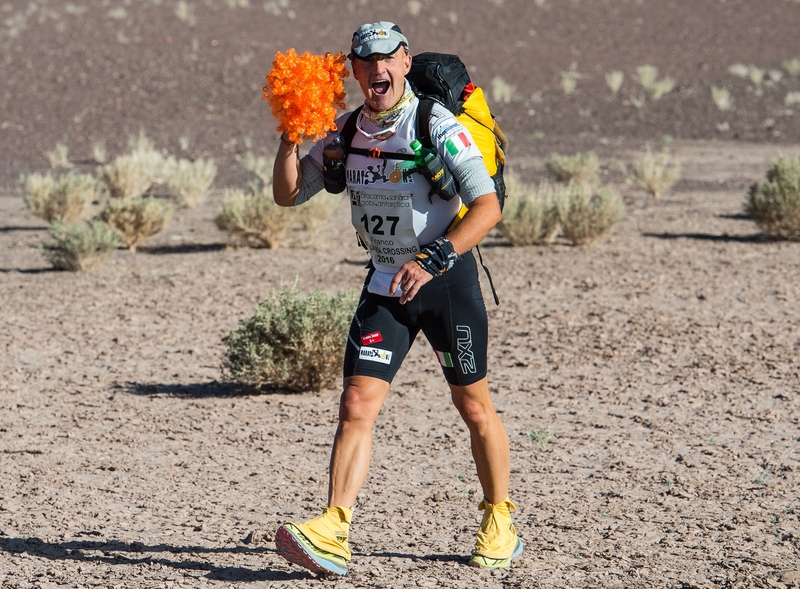 Stan completed the 4 Deserts series in 2010, then arrived at the next 4 Deserts event at the Atacama Crossing 2011. Upon that event's completion, Stan became the first person to complete six RacingThePlanet / 4 Deserts races in less than 12 months and has completed 13 events with 4 Deserts in total. Somehow, he also practices general dentistry in Victoria, Canada.